side. This stops the vibrations and quickly quiets it down. strokes in this section, as well as how to play them. Fig. 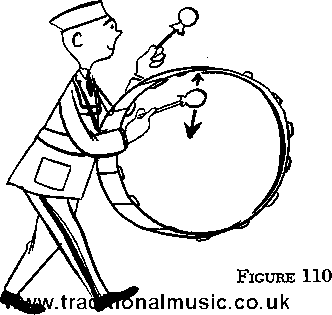 Ill shows how the drum sticks are held.